On Panepistimiou street, three notable buildings where built around the same period. These are the Academy, the University and the National Library. 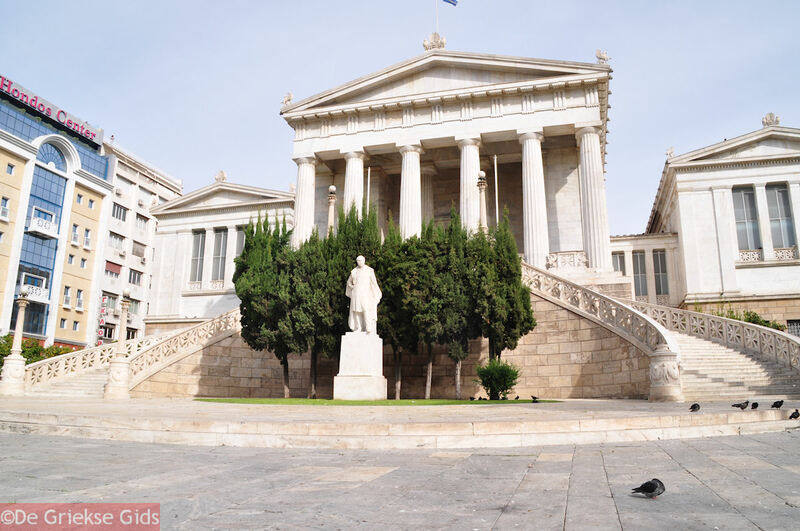 These were built in the period after Greece's independence, in the mid-19th century. 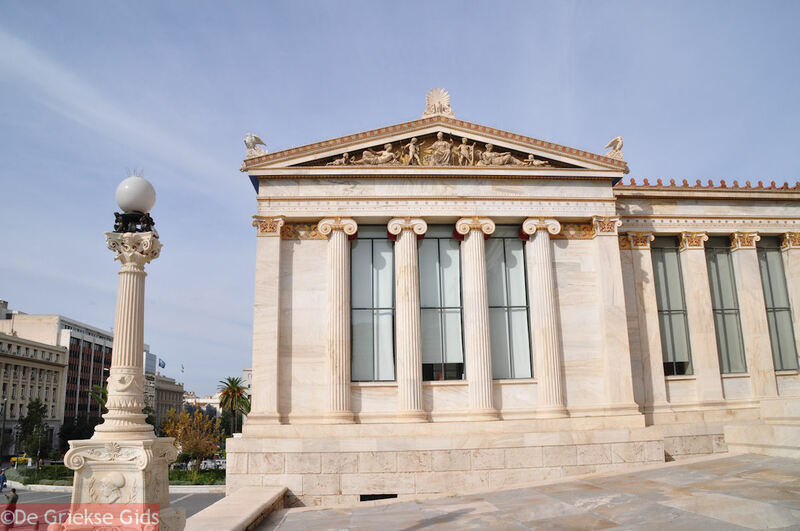 Architects of these "works of art," the Danish Hansen brothers, were living in Athens at that time. 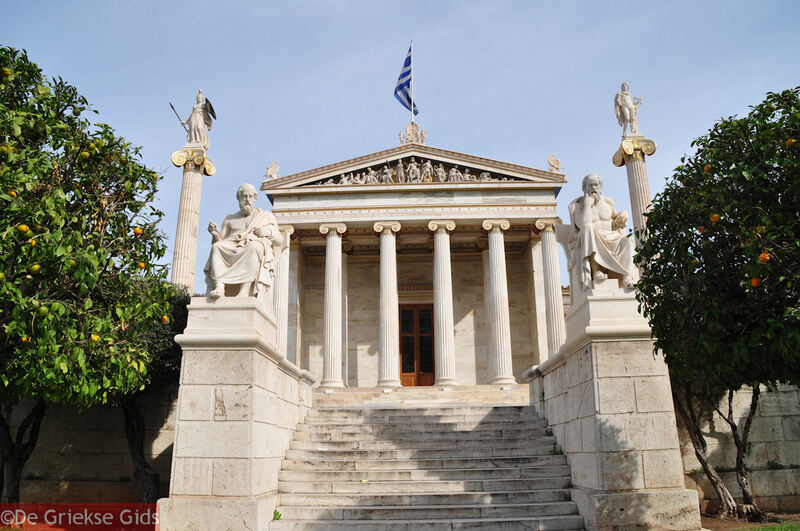 The building of the Academy of Athens was funded in the period 1859-1866 by Simon Sina. In 1877 the organization was put together, but was not officially founded until 1926. The aim of the Academy is to promote sciences and arts. 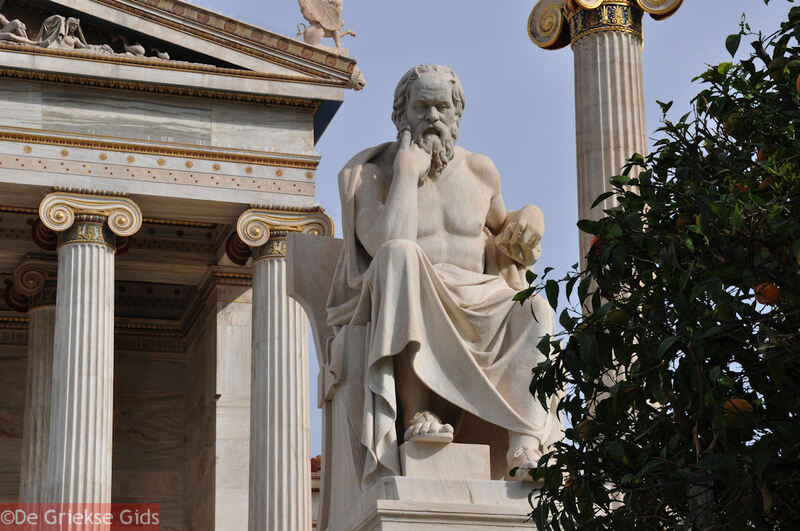 At the central staircase at the entrance on the left side you will see the image of Platon (2 meters 40 centimeters/8 feet high) and on the right side the image of Socrates (2m 40cm/8ft high). 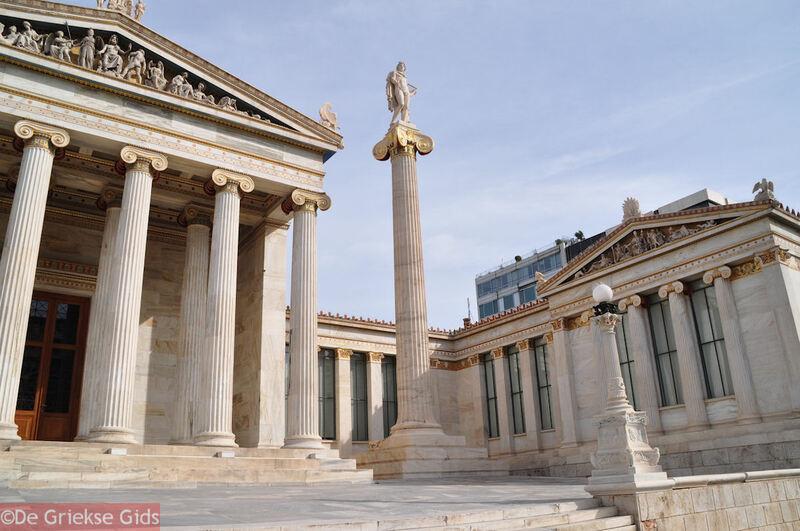 Notable are two high pillars with goddess Athena (3m 71cm/11ft high) and god Apollo (3m 71cm/11ft high). 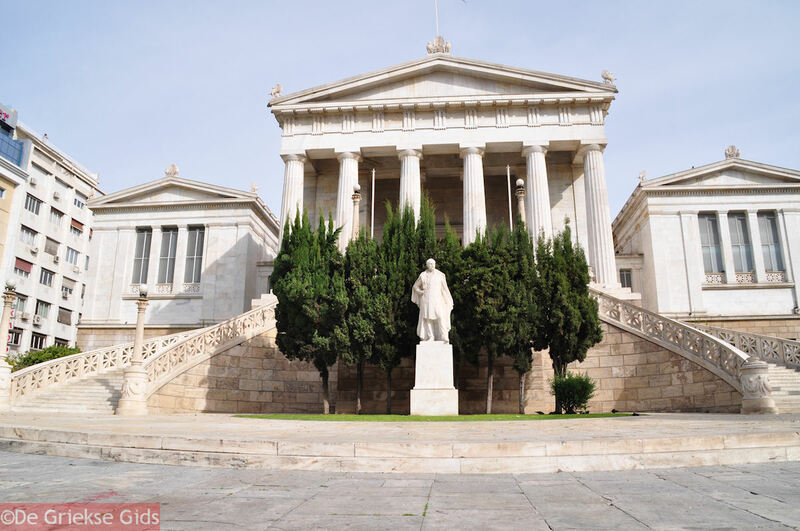 On either side of the Academy, are two wings decorated with friezes and a pair of high columns supporting the statues of Apollo and Athena, whereas at the front side of the building the visitors are welcomed by the statues of Plato and Socrates. The Academy was designed by Th. Hansen, the younger of the Hansen brothers. 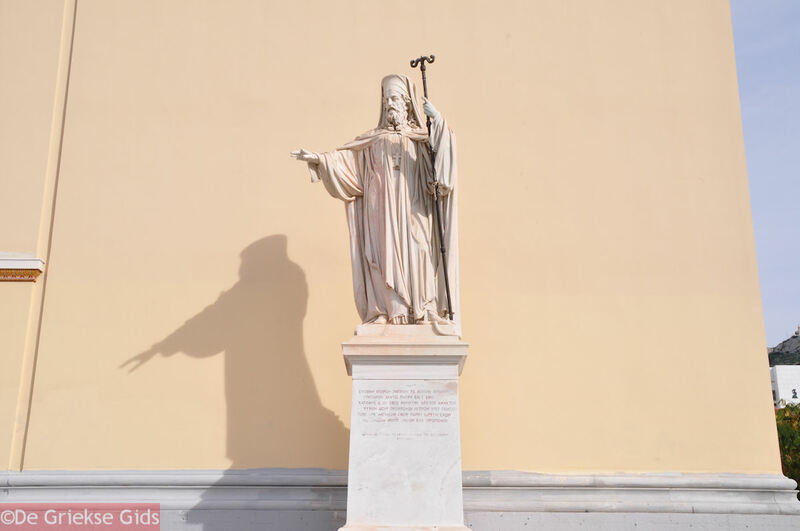 The statues were sculpted by L. Drosis and the painted decoration was produced by K. Rahl. 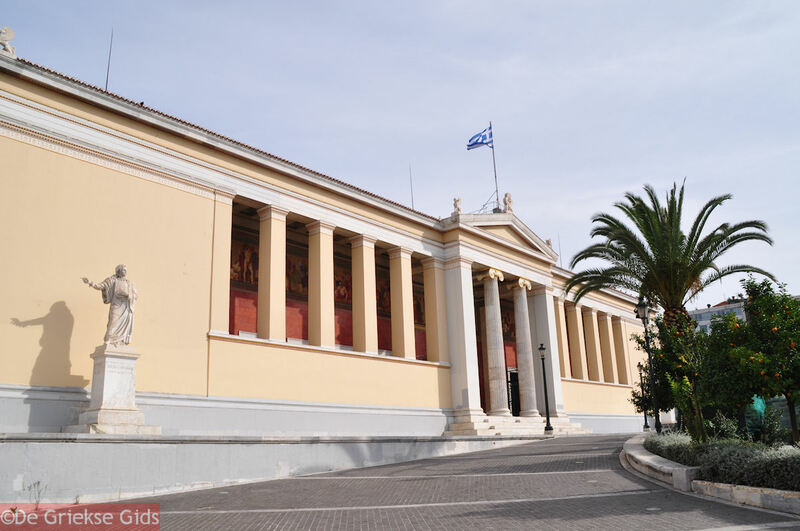 The Academy is thought to be a prime example of Greek architectural style. 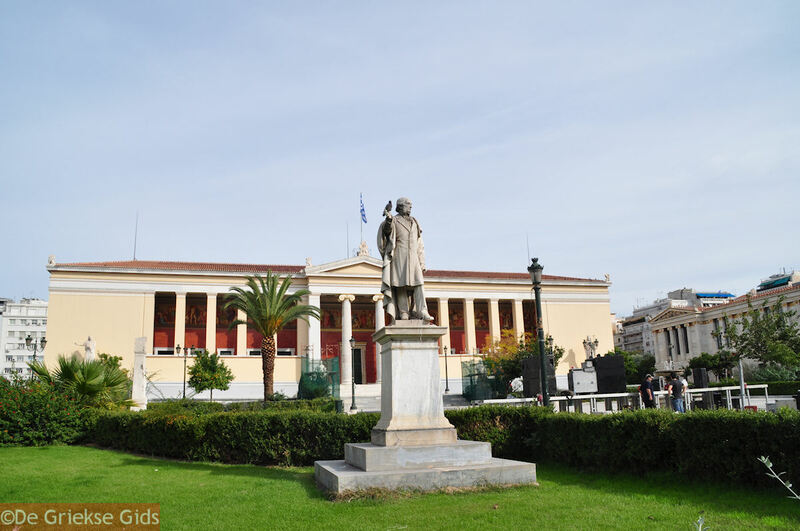 The University of Athens was designed by Ch. Hansen, the elder of the Hansen brothers. 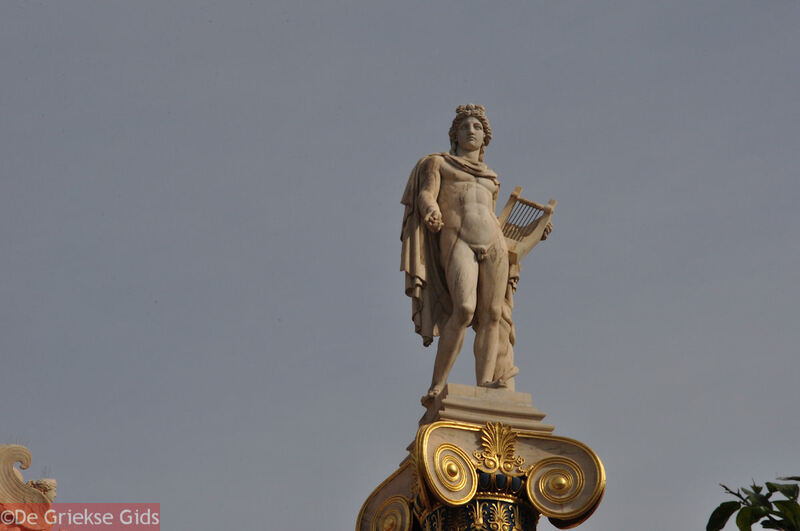 Worth seeing are the fountain in the court, the circular stairway and the multicolored murals with classical themes (designed by the Bavarian K. Rahl), decorating the walls, located behind the columns on the balcony. a stately six-column portico in the Doric style, based on the design of Thissio. The interior, designed by Ern. Ziller, is lighted by a skylight on the roof and encompassed by an Ionian style colonnade. 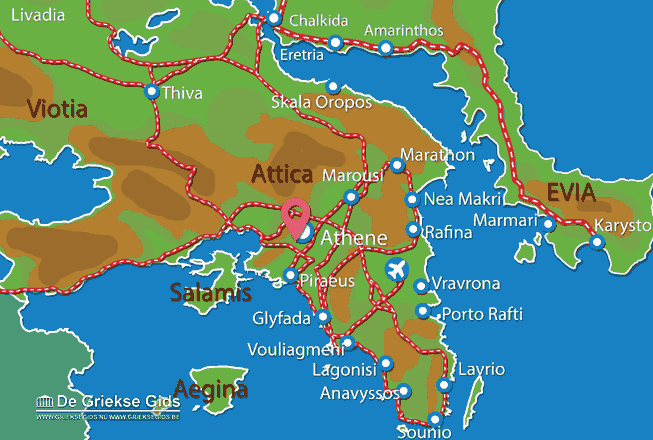 Attica: Where on the map is Academy of Athens located?